The 1960's is back into fashion! With shows like Mad men and Agent Carter trending, the 60's style is kicking in. Today's freebie is influenced by the very culture of the 60's itself. 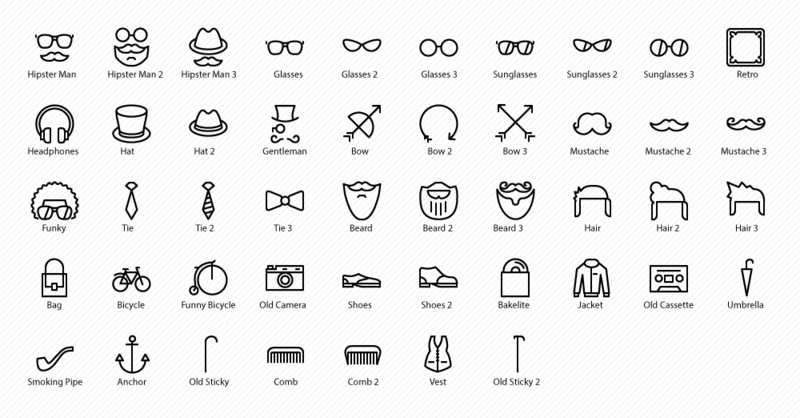 An amazing hipster and retro icon set of 47 hand drawn vector elements. Give a retro hippie look to your project with these awesome hand drawn vectors. Grab this icon set absolutely FREE! One of the most remarkable time of history, 1960 saw a big turn around in culture, music, social stigmas and business. But the most distinguishing factor of the swinging sixties was its fashion quotient. The 60's stood out as an icon set in people's fashion statement. Hats, cat eye spectacles, boots, blazers and most prominently the hippie hairstyles, the 60's was hip and happening. Not only fashion but music was a great influence too. The Beatles, Elvis, Bob Dylan and many such famous artists cherished their best times during the 60's. Men's fashion was strongly influenced by these artists. Most notably the mop-top haircut, the Beatle boots, the beard styles, the bow ties and bell bottoms. The 1960's fashion was a combination of class and style. These icons are created with perfection to suit your designing needs. It's a great fit whenever you wish to do something different and add an extra element of retro style to your project. 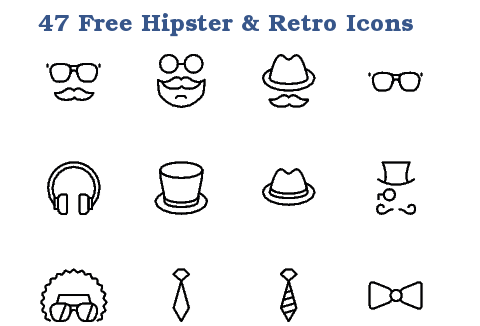 Ready to grab this retro icon set absolutely for FREE today?